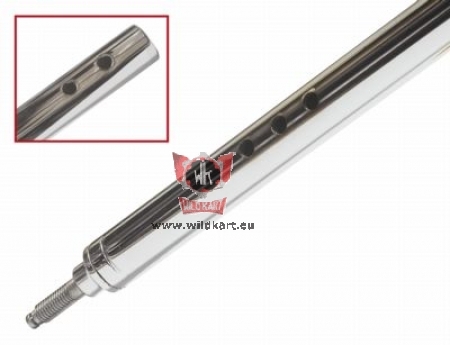 Chrome Wildkart replacement shaft ONLY. 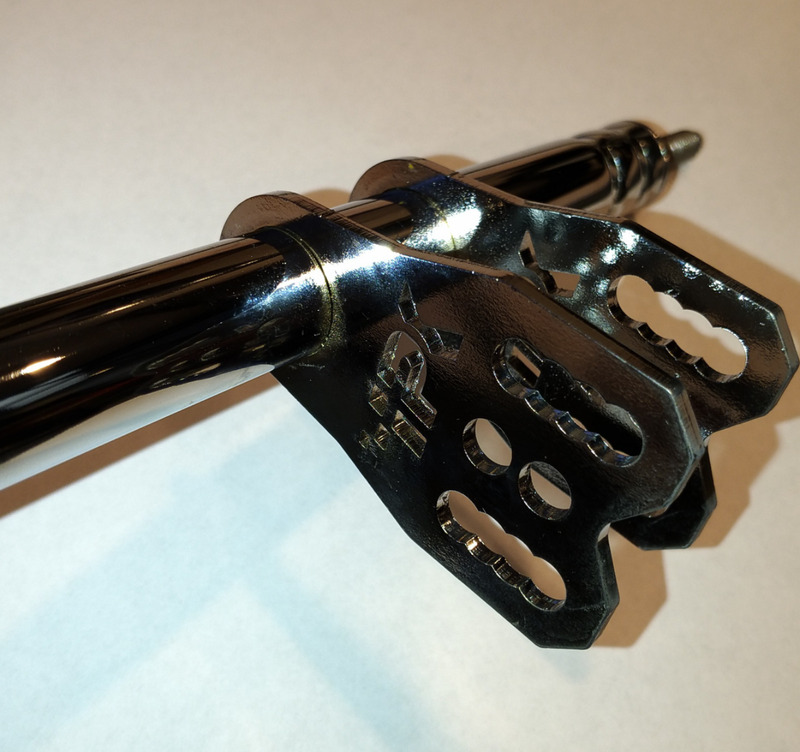 High quality adjustable Wildkart steering shaft features a billet aluminum, removable pitman. Top of steering column is predrilled so the overall length can be 490mm or 470mm. 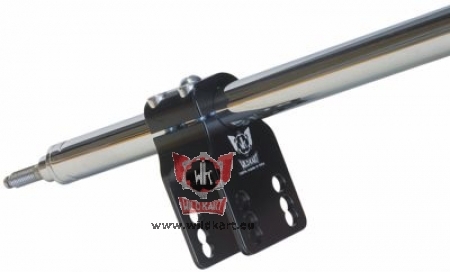 The bottom bracket of steering column can be locked into 3 positions (85, 100 or 115mm) or can be unlocked at any position. The pitman has 6-hole for adjusting ackerman. Grooved 8mm stud to accept safety clip. The removable pitman feature would also make steering shaft swaps a breeze! 3 position steering shaft. All shafts are 20mm diameter w/ 8mm stud. Hardware not included. See dimension chart. OEM Praga 4-position steering shaft. 20mm diameter w/ 8mm stud. See dimension chart. 3 position steering shaft. All shafts are 20mm diameter w/ 8mm stud. Hardware not included. See dimension chart. A-510, B-75, E-26mm. Fits Italkarts and Intrepids with 8mm kingpin.